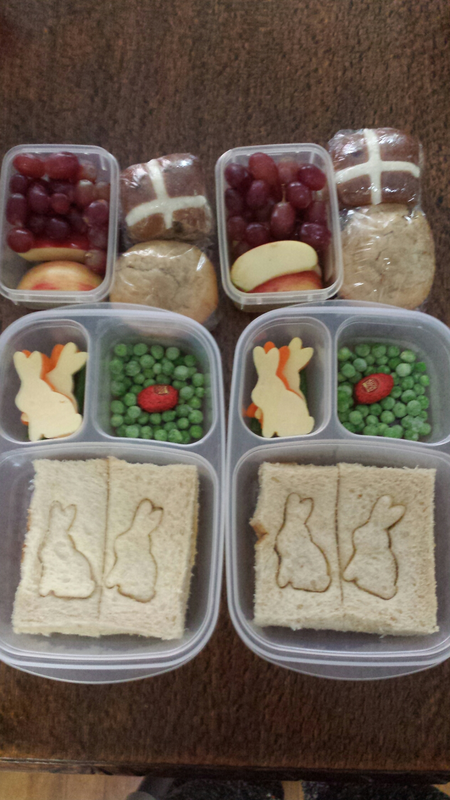 These are my cherubs’ lunchboxes for today. They came home completely empty. Yay! 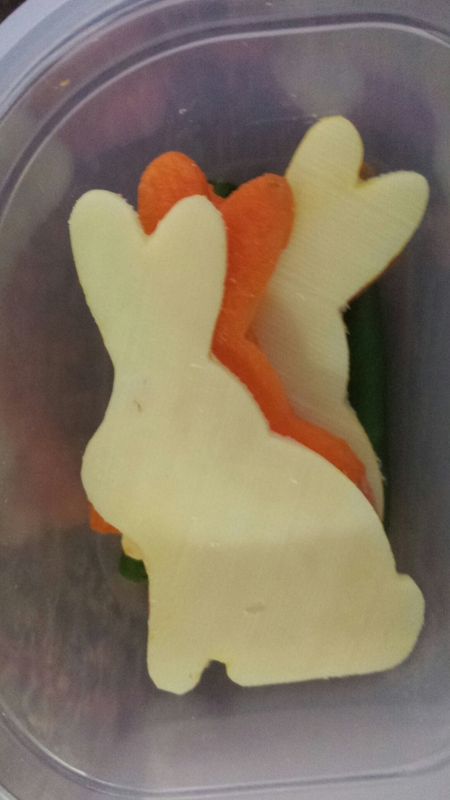 I used a bunny shaped biscuit cutter to stamp out the sandwiches, cheese and carrot. 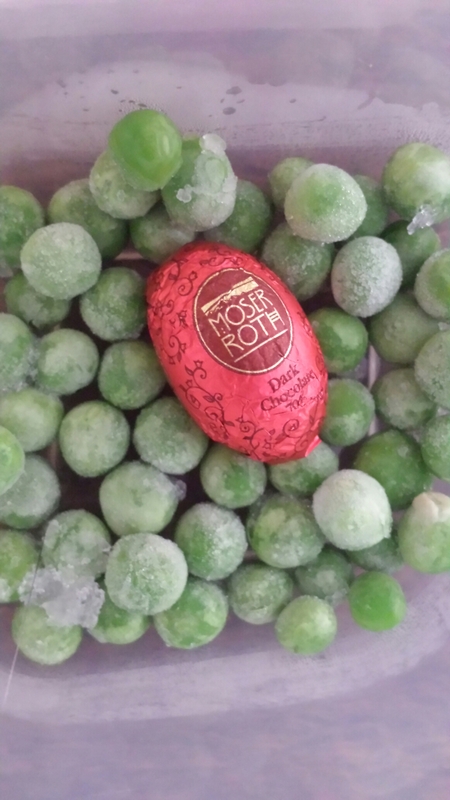 Served with frozen peas, a dark chocolate egg, pear and oat muffin, fruit and mini hot cross bun.